For additional information on the current bus services, see List of bus routes in the Bronx and Select Bus Service. A Bx12 SBS at Fordham Road and Southern Boulevard between the Bronx Zoo and New York Botanical Garden. The 207th Street Crosstown Line, also called the Fordham Road−207th Street Crosstown Line or Fordham Road Crosstown Line, is a public transit line in New York City serving the boroughs of Manhattan and the Bronx. The line runs along 207th Street in upper Manhattan, and along the continuous Fordham Road and Pelham Parkway in the Bronx. Originally a streetcar line between Inwood in Manhattan and Belmont in the Bronx from the early 1900s to 1948, the line is now the Bx12 bus route operated by the New York City Transit Authority under the subsidiary Manhattan and Bronx Surface Transit Operating Authority (MaBSTOA). The bus line became the first bus rapid transit route to enter service in the city in 2008, when the Bx12 Limited became the Bx12 Select Bus Service (SBS). Both the Bx12 local and SBS carry over 45,000 riders each weekday. The total ridership in 2014 was 15,812,906, making the route the busiest citywide. A Bx12 SBS bus (with special livery not yet applied yet) picks up customers at the Eastchester Road stop along Pelham Parkway. The current form of the Bx12 runs crosstown from Inwood to various areas in the northeastern Bronx. The line, eastward, begins at the Inwood – 207th Street subway station (A train) on Broadway and West 207th Street. The Bx12 then loops around via Isham Street and Sherman Avenue and rejoins West 207th Street, continuing across the University Heights Bridge into University Heights. The route runs along Fordham Road through Fordham Center, Fordham Plaza, and Belmont until the road becomes Pelham Parkway near the Bronx Zoo and New York Botanical Garden in Bronx Park. The route then runs along Pelham Parkway's main roadway to Pelham Bay, where it takes a somewhat circuitous route. The line turns off Pelham Parkway onto Burr Avenue stopping at the Pelham Bay Park subway station. From here, the Bx12 services that do not terminate here make a U-turn and join the New England Thruway to Bay Plaza or veer east along Shore Road to Orchard Beach. At the Pelham Bay Park station, Manhattan-bound buses use stops directly adjacent to where Bay Plaza and Orchard Beach-bound buses pick up passengers—along southbound Amendola Place—resulting in passengers sometimes boarding buses going in the wrong direction. Westbound buses use the southernmost two stops, while terminating eastbound locals and buses towards Bay Plaza and Orchard Beach use the northernmost two stops closest to the subway. The setup requires westbound service to make a U-turn onto the New England Thruway before heading onto Pelham Parkway. During the daytime and evening hours, local service runs between Sedgwick/Webb Avenue in University Heights and the Pelham Bay Park subway station (6 and <6>​ trains). Some local service also originates from Belmont Avenue and 182nd Street in Belmont during the afternoons on school days. Most service between Manhattan and Bay Plaza is served by Bx12 Select buses during that time, although some local buses continue to Bay Plaza. During the summer, Bx12 local buses are extended to Orchard Beach, with all weekend service operating to/from Inwood during the summer. During the overnight hours, all service runs local, serving the entire route with the exception of Bay Plaza. Buses instead terminate on Edson Avenue, in front of the Gun Hill Bus Depot, as the shopping center is closed during these times. The Bx12 is New York City's first bus rapid transit service, marketed as Select Bus Service, which began on June 29, 2008. Selected as the Bronx corridor for the pilot project in 2004, the MTA, New York City Department of Transportation and the New York State Department of Transportation drew up plans to convert the Bx12's limited service to BRT. The route was selected for the project mainly because of its mostly straight crosstown route through the Bronx, intersecting with seven different subway lines and all Metro-North lines. Buses are outfitted with special identification (including a special blue wrap and blue route signs) and traffic signal prioritization was enacted along the route, timing traffic signals in favor of the bus. The DOT also added dedicated bus lanes painted in maroon-red along Pelham Parkway and Fordham Road, with signs indicating that the lanes are bus-only from 7:00 am to 7:00 pm on weekdays, along with additional police enforcement. Off-board fare collection, via MetroCard fare machines and coin meters, allows passengers with proof of payment to board through any door. Bx12 Select Bus Service operates daily, from around 6am to 10pm weekdays, 7am-11pm weekends. Some previous Bx12 Limited stops are no longer served by Bx12 Select buses and are now served by local buses, most notably Jacobi Medical Center. The streetcar line was operated by the Union Railway Company, a subsidiary of the Third Avenue Railway. In February 1903, the company announced plans to construct a two-track line along Pelham Avenue (the former name of Fordham Road and Pelham Parkway) between Bronx Park and Pelham Bay Park, running through largely undeveloped land and parkland. Called the Pelham Avenue Line, its western terminus would be at Third Avenue in modern Fordham Plaza, at the Fordham station of the then-New York Central Railroad (now the Metro-North Railroad Harlem Line) and the entrance of what was then St. John's College (now Fordham University's Rose Hill campus). Its eastern end would be at the Pelham Bridge in Pelham Bay. This was the last Union Railway franchise to be constructed. By 1904, the line was running along Fordham Avenue and Pelham Avenue (today's Fordham Road) between Sedgwick Avenue in University Heights and Third Avenue in Fordham. That year, the company released plans to extend the line west across the yet-to-be-constructed University Heights Bridge to Broadway and 207th Street in Inwood, Manhattan. By fall 1908, after the opening of the bridge, the Union Railway petitioned for an extension west to Manhattan, and east to Pelham Bay Park. By 1909, the planned eastern extension was truncated to Southern Boulevard, with both extension plans delayed due to deadlock in negotiations with the city. In 1910, the company once again petitioned the New York City Board of Estimate and Public Service Commission for a western extension to Manhattan, and for an eastern extension from Southern Boulevard to the eastern edge of Bronx Park (at about Boston Road, White Plains Road, and Bronx Park East). The Manhattan extension was finally granted in June 1910. Service across the bridge to Inwood began on November 29, 1910. In late 1916, the railway petitioned for another extension along either Vermilyea Avenue or Nagle Avenue, and Dyckman Street west to the ferry terminal at the end of Dyckman Street, to connect with ferries to New Jersey and upstate New York, particularly the Palisades region and Palisades Interstate Park. The franchise was granted in December of that year. The extension was initially opposed due to many narrow streets in the area. Later, the Union Railway sought to annul the franchise agreement, which was opposed by the local Dyckman (Inwood/Washington Heights) community due to growing business interests created by the line. The extension was never implemented. A New Flyer D60 high-floor bus on the Bx12 SBS at Orchard Beach in 2008. High-floor buses are no longer present in SBS service, which no longer serves Orchard Beach. Beginning in the 1920s, many streetcar lines in the Bronx, Manhattan, and the rest of the city began to be replaced by buses, particularly after the unification of city's three primary transit companies in June 1940. That year, the railroad company began relinquishing its trolley franchises with the city, to be replaced by buses operated by the subsidiary Surface Transportation Corporation. The 207th Street Crosstown Line was replaced with the then-Bx19 bus service operating between Broadway-207th Street and Southern Bouelvard on January 25, 1948, the same date as the motorization of the Bronx and Van Cortlandt Parks Crosstown Line (today's Bx9). The route would be operated by Surface Transit until 1956, and by the New York City Omnibus Corporation (later under the brand Fifth Avenue Coach Lines) until 1962. That year the New York City Transit Authority began operating the line under the subsidiary Manhattan and Bronx Surface Transit Operating Authority (MaBSTOA), which continues to operate the route under the MTA. As the years progressed, service was eventually consolidated from multiple routes, and was given a single label, the Bx12. The route saw extensions east to City Island, seasonal service to Orchard Beach, and a branch to the Bartow-Pell Mansion in the Pelham Bay Golf Course. along with the introduction of limited-stop service on weekdays. The Orchard Beach branches were labeled Bx12A and Bx12B until July 1, 1974, when they were merged into the Bx12 designation. In the early 1980s the Bay Plaza Shopping Center was constructed in Co-op City and the Bx12 was extended there from Pelham Bay. Service to City Island remained until around 1990, when through service was discontinued and replaced with a dedicated route from City Island to Pelham Bay, the current Bx29. Service to the Bartow-Pell Mansion was discontinued due to low ridership and is now served by Bee-Line's 45 (or W45) bus. The resulting service pattern remains in effect today, with some minor adjustments. In 1988, due to the reconstruction of the University Heights Bridge, the Bx12 began detouring 0.5 miles (0.80 km) to cross into Manhattan via Bailey Avenue and the Broadway Bridge at 225th Street, as opposed to the direct path via 207th Street. The route was restored in September 1994 as the vehicle weight restriction on the bridge was removed. In 1989, limited-stop service began on the Bx12, saving up to five minutes per trip. In January 1995, an additional limited stop was added at Jacobi Hospital, and the hours of limited-stop service were expanded from 6:57 – 8:39 a.m. and 4:55 – 6:41 p.m. to 6:30 – 9:30 a.m. and 4 – 6:30 p.m.. Extending the span of the limited-stop service to operate all day between 7 a.m. and 7 p.m. was looked at, with a plan to revisit the idea if the increase in the span of limited-stop service was successful. The span of the Bx12 was extended to operate all day between 6:30 a.m. and 7 p.m.. on September 8, 1997. On September 8, 1998, the Bx12 began stopping in the Bay Plaza Shopping Center. 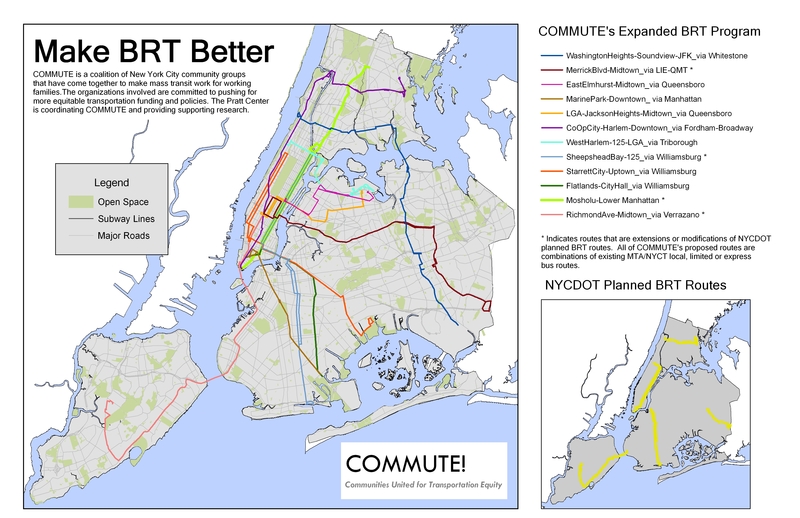 In 2004, the MTA in conjunction with the New York City Department of Transportation and New York State Department of Transportation, performed an initial study on bus rapid transit, with 80 corridors studied citywide. Five routes were prioritized, including the Bx12 route. On June 29, 2008, the Bx12 Limited was converted into the Bx12 Select Bus Service. Initially, during summer months Bx12 SBSs alternated between Bay Plaza and Orchard Beach. In 2009, Bx12 locals were extended to Orchard Beach during summer months, with all SBSs terminating at Bay Plaza. Summer local service to Inwood was also added at this time. The total ridership in 2009 was 14,736,515, ranking the route third in ridership citywide and the busiest in the Bronx. In March 2013, the high-floor articulated buses on the SBS route were replaced with low-floor articulated buses with three sets of doors to improve boarding and alighting of passengers. ^ a b c d e MTA Regional Bus Operations. "Bx12 bus schedule" (PDF). ^ a b c d e "Select Bus Service on the Bx12: A BRT Partnership Between the New York City DOT and MTA New York City Transit" (PDF). Metropolitan Transportation Authority, New York City Department of Transportation. January 12, 2009. Retrieved March 4, 2016. ^ a b c d e f MTA Regional Bus Operations. "Bx12 SBS bus schedule" (PDF). ^ a b c d Railway Review. 62. 1918. p. 489. Retrieved March 4, 2016. ^ New York (State). Legislature (1920). New York Legislative Documents. p. 115. Retrieved March 5, 2016. ^ "The Real Estate Field" (PDF). New York Times. October 27, 1914. Retrieved September 2, 2009. ^ a b c "Bx12 Local to Orchard Beach Will Start from Inwood on Weekends". Metropolitan Transportation Authority. July 2, 2009. Retrieved March 4, 2016. ^ "MTA Bus Time: Bx12 Pelham Pkwy - Fordham Rd via Pelham Pkwy / Fordham Rd". mta.info. MTA Bus Time. ^ "MTA Bus Time: Bx12-SBS Pelham Pkwy - Fordham Rd Select Bus Service via Pelham Pkwy / Fordham Rd / Bay Plaza Shop Ctr". mta.info. MTA Bus Time. ^ a b c Neuman, William (June 29, 2008). "Riders Will Pay Before Boarding, and Save Time, on Revamped Bus Route". New York Times. Retrieved September 2, 2009. ^ a b c "Bx12 Select Bus Service One Year Report" (PDF). Metropolitan Transportation Authority. October 2009. Retrieved January 8, 2016. ^ a b c "A Bronx Tale: Bus Rapid Transit in New York City". Metropolitan Transportation Authority, New York City Department of Transportation. Retrieved January 8, 2016. ^ a b "Third Avenue Line Must Run Buses: Last Hearing on Contract Set for September 12". The Sun (New York). Fultonhistory.com. July 26, 1940. p. 10. Retrieved March 6, 2016. ^ "Bronx and Pelham Parks Will Be United by a New Trolley Line: Union Railway to Exercise Its Last Unused Franchise in the Construction of This Route-Consents of Property Owners Now Being Sought". New York Herald. Fultonhistory.com. February 8, 1903. p. 2. Retrieved March 6, 2016. ^ "For New Trolley In The Bronx: Interurban Intends to Connect Bronx and Pelham Parks with Electric Line". New York Press (historical). Fultonhistory.com. February 9, 1903. p. 8. Retrieved March 6, 2016. ^ a b "Union Railway Plans To Enter Manhattan: Petitions for Franchises to Effect Thirteen Connections" (PDF). The New York Times. February 24, 1904. Retrieved December 24, 2015. ^ "Huckleberry Asks To Extend: Franchises for 13 New York Lines Applied For-Crossing Four Harlem River Bridges and Linking Upper Borough Surface Roads With Subway and Metropolitan Lines-Ready to Share Bridge Tracks". The New Rochelle Press. Fultonhistory.com. February 27, 1904. p. 7. Retrieved March 6, 2016. ^ "Cars Across New Bridger: Third Avenue Line Allowed to Ask For Franchises". The Sun (New York). Fultonhistory.com. September 16, 1908. p. 13. Retrieved March 6, 2016. ^ "Board Holds Up Pelham Franchise" (PDF). The New York Times. April 5, 1909. Retrieved March 6, 2016. ^ "Public Notices; City of New York; Board of Estimate and Apportionment". The Sun (New York). Fultonhistory.com. March 17, 1910. p. 12. Retrieved March 6, 2016. ^ "Union Trolley Extension" (PDF). The New York Times. July 24, 1910. Retrieved March 6, 2016. ^ a b "University Heights Bridge" (PDF). Historic American Engineering Record. NY-199. Retrieved March 6, 2016. ^ Moses, Charles Griffith (July 24, 1910). "Possibilities of the Dyckman Section of Manhattan Island". New York Herald. Fultonhistory.com. p. 2. Retrieved March 6, 2016. ^ a b c "Dyckman Against Trolley". The Sun (New York). Fultonhistory.com. October 15, 1916. p. 15. Retrieved March 6, 2016. ^ a b "Dyckman Trolley Fight: Upper City Interests Oppose Union Railway's Effort Not to Build Extension to Ferry". New York Evening Post. Fultonhistory.com. June 8, 1918. p. 11. Retrieved March 6, 2016. ^ a b "Want Dyckman Line: Washington Heights Protests Against Canceling Car Franchise" (PDF). The New York Times. June 2, 1918. Retrieved March 6, 2016. ^ "Trolley for the Dyckman". The Sun (New York). Fultonhistory.com. December 24, 1916. p. 11. Retrieved March 6, 2016. ^ a b "Buses To Replace 2 Trolley Lines: The Bronx-Van Courtland Park and 207th St. Crosstown to Shift on Jan. 25" (PDF). The New York Times. January 8, 1948. Retrieved March 6, 2016. ^ Seyfried, Vincent F. (1961). "Full text of "Story of the Long Island Electric Railway and the Jamaica Central Railways, 1894-1933 /"". archive.org. F. E. Reifschneider. Retrieved December 20, 2015. ^ "Trolley Cars Here On Way To Oblivion By Next Year's End: 700 New Buses to Assume Travel Burden on Lines in Manhattan and Bronx" (PDF). The New York Times. September 15, 1945. Retrieved December 24, 2015. ^ "Record Bus Grant Signed By Mayor: Motor Transit Will Replace Street Cars on Routes in Manhattan and Bronx" (PDF). The New York Times. November 10, 1940. Retrieved March 6, 2016. ^ "1974 Bronx Bus Map". wardmaps.com. New York City Transit Authority. 1974. Retrieved March 3, 2016. ^ "2 Boroughs' Buses Get New Numbers". The New York Times. June 20, 1974. p. 9. ISSN 0362-4331. Retrieved October 2, 2016. ^ * NYC Transit Committee Agenda June 1994. New York City Transit. June 10, 1994. pp. D.97. NYC Transit Committee Agenda June 1994. New York City Transit. June 10, 1994. pp. D.98. NYC Transit Committee Agenda June 1994. New York City Transit. June 10, 1994. pp. D.99. NYC Transit Committee Agenda June 1994. New York City Transit. June 10, 1994. pp. D.100. ^ * NYC Transit Committee Agenda September 1994. New York City Transit. September 16, 1994. pp. D.62. NYC Transit Committee Agenda September 1994. New York City Transit. September 16, 1994. pp. D.63. NYC Transit Committee Agenda September 1994. New York City Transit. September 16, 1994. pp. D.64. ^ "Bus Service Notices". mta.nyc.ny.us. January 14, 1998. Archived from the original on January 27, 1998. Retrieved February 3, 2019. ^ "Starting September 8th, the Bx12 bus will make stops inside the Bay Plaza Shopping Center. How's that for convenience?". New York Daily News. September 4, 1998. Retrieved August 17, 2018. ^ Aaron, Brad (April 17, 2008). "A Transit Miracle on 34th Street". Retrieved July 1, 2008. ^ "MTA Planning – NYC Select Bus Service". Retrieved July 1, 2008. ^ "MTA NYC Transit Introduces New Articulated Bus into SBS service; Three Doors – Less Waiting". Metropolitan Transportation Authority. March 14, 2013. Retrieved March 4, 2016. Wikimedia Commons has media related to Bx12 (New York City bus).